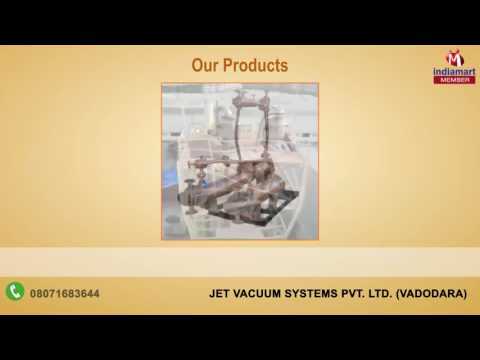 Valued among our customers across the world for manufacturing, supplying and exporting a broad array of optimum quality Ejector Systems & Condensers, Jet Vacuum Systems Pvt Ltd. came into existence in the year 2007 at Vadodara, Gujarat. Consists of Steam Jet Ejectors, Water Jet Ejectors and Continuous Crystallizers, we offer a wide range of ejector systems. Appreciated for their high performance, rugged construction, low maintenance, minimum energy consumption and longer severing life, the offered range is used in pharmaceuticals & drug industry, fine chemicals, textile industry, paper industry, evaporation and lab application in chemical industry.